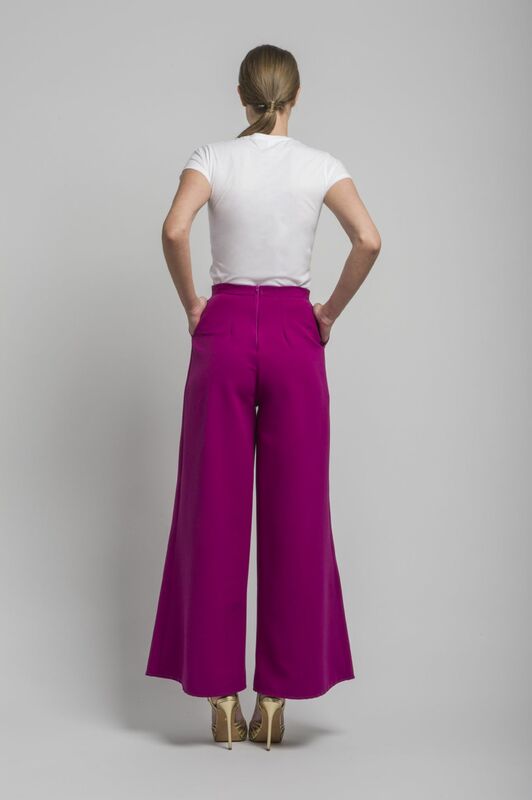 Wide leg trousers with front pocket inserts and gold D ring detail. 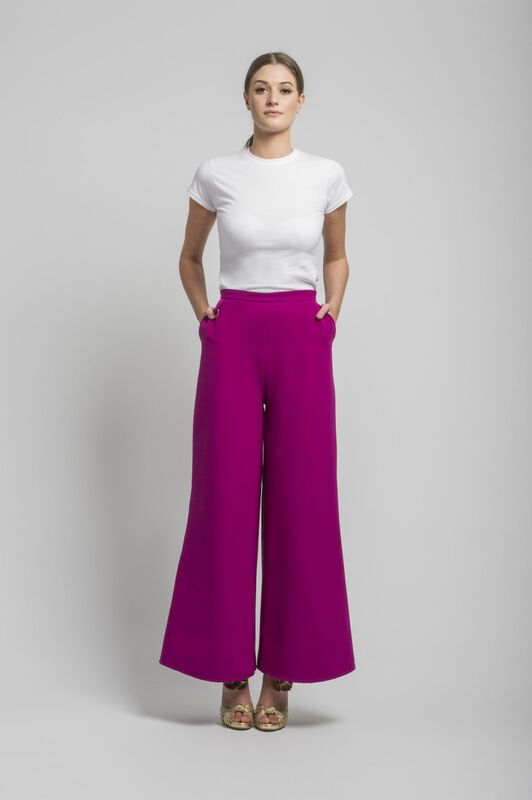 Trousers take on a relaxed silhouette this season with sports tailoring setting the trends and the wide leg is the one to watch. Model is 5ft 11ins. 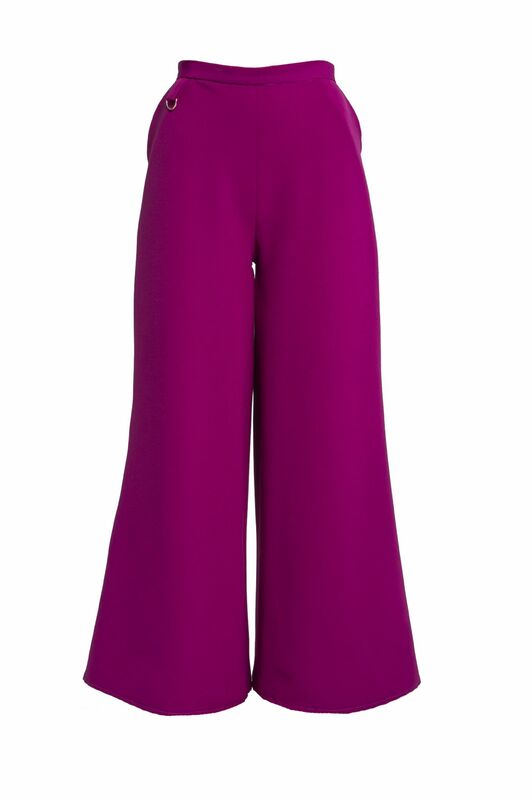 is a UK size 8-10 and wears trousers in size 10. Magenta Mary-H-Wrap Mini dress / Kimono Top.